Black “space rocks,” or meteorites, are found in numerous parts of the Arabian Desert. Sam found a nice one just the other day. Florian Zurfluh, a doctoral student at the University of Bern, conducts an in-situ X-ray fluorescence analysis of the freshly found achondrite meteorite. The oldest matter found on earth originates from outer space. 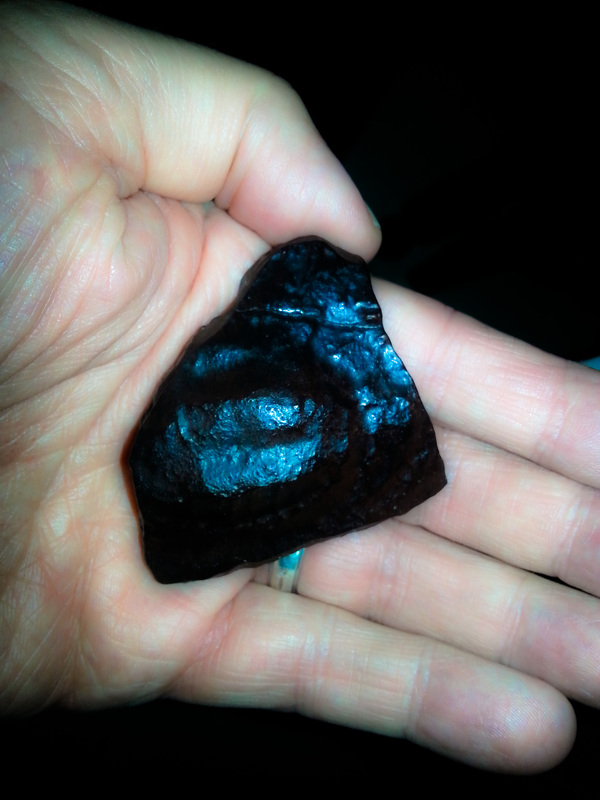 This debris from far away worlds falls from the dark depths of space onto the ever-changing surface of planet Earth. These meteorites provide valuable information about the early history of our solar system. Scientists are now investigating unusual surface areas of the Arabian Peninsula where meteorites are found, often in dense concentrations. In these black stones one learns about the early beginnings of the birth and death of celestial bodies. Today, in almost every country there are scientists who work on decoding the hidden messages of this space debris. Most meteorites are fragments of asteroids, some containing organic matter. Some preserve information on the chemical make-up of the solar system before the formation of planets. Other meteorites found in the Arabian Desert are known to be impact debris from the surfaces of the Moon and Mars. Martian and lunar meteorites, which are rare, are often fragments from the past, having been knocked off into space millions or even billions of years ago. Meteorites provide the only samples from Mars that we have in hand to analyze in a laboratory. However, we do have material collected by astronauts from the Moon. Lunar meteorites provide clues to early processes in the Earth-Moon system, such as the a period known as the “late heavy bombardment.” That’s the period when huge numbers of meteorites pelted the Earth and Moon some 3.9 billion years ago, just when life may have started on our planet. “Searching for meteorites is of paramount importance for astrobiology and planetary science,” according to Dr. Beda Hofmann, head of Earth Science at the Natural History Museum in Bern, Switzerland. 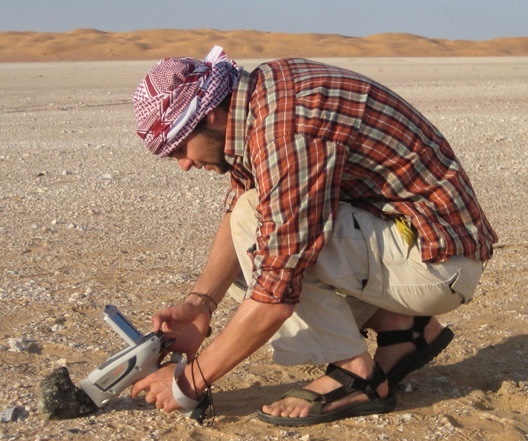 Hofmann and Edwin Gnos of the Natural History Museum in Geneva, Switzerland are leaders in meteorite hunts taking place in Oman. Hiking in the Arabian desert near Rumah, Sam found this piece of space history. For 30 years, the frozen desert of Antarctica has been one of the richest sources of pristine meteorites. The black stones are easy to pick out from the white snow, and there are no rivers or other natural processes to carry the meteorites away. More recently, the hot deserts of Africa and Australia also have produced new meteorite discoveries. The dry conditions in deserts tend to preserve stones, and the lack of rain means they are less likely to become eroded or be covered over by sediment. In 1999, an incredible number of meteorites appeared on the market due to activity by private collectors and dealers. Within the last ten years Oman has yielded almost one-fifth of the world’s meteorites, a huge cash of more than 5,000 fragments weighing greater than four tons. The Oman finds include one-third of all known lunar meteorites, and a handful of specimens from Mars. Amateur collectors are cautioned to accurately document their finds, which will make life a bit easier for the scientists who might want to study the rocks. Amateurs found the first Mars meteorites in Oman; in fact it was the appearance (and sale) of those rocks and lunar meteorites that caught the attention of a group of Swiss researchers. They enlisted the support of the government of Oman, and on their first mission in 2001, the team recovered a Mars sample. 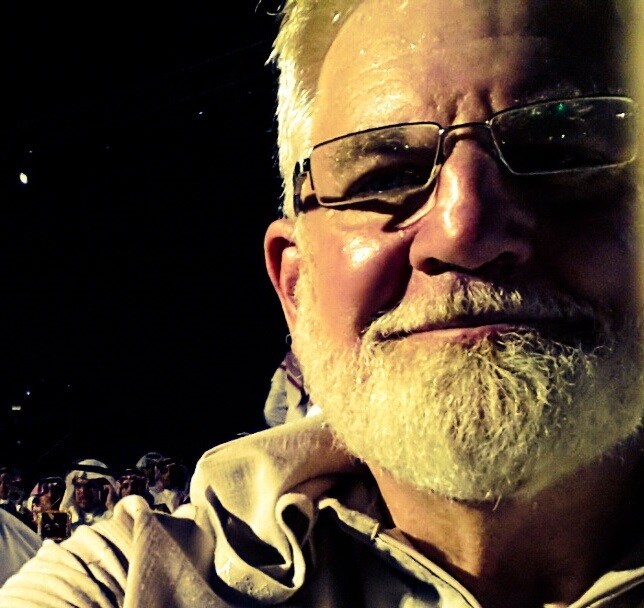 Dr. Beda Hofmann is proud that his team’s meteorite collection is conducted in collaboration with the Omani government. “So far we have obtained permission to take all samples necessary to Switzerland,” he says, “but the samples remain the property of the Sultanate of Oman.” Eventually representative samples will be displayed in the Natural History Museum of Muscat, the Omani capital. 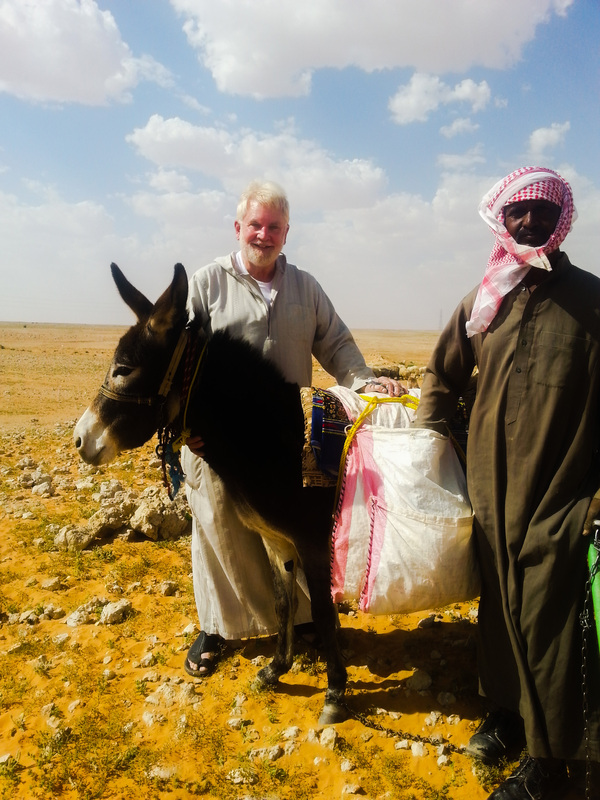 Sam with Bedouin sheep herder near the location of his meteorite find. Meteorites are the fossils from which geologists recover the history of our solar system, but most of the meteorites found in Oman did not fall on Earth recently. They have been lying in the desert for several thousand years. A major thrust of the Swiss research is to learn how the environment contaminates meteorites, and see how a meteorite might change its appearance and composition prior to discovery and conservation. The deserts of Oman seem to be a rich source of unique meteorites, and the precious fragments can tell planetary scientists about conditions in the early solar system when stony objects first formed. These fragments subsequently were glued together by gravitational attraction to construct planets, moons and asteroids. By helping us reconstruct the early history of our solar system and our planet, meteorites bring us a step closer to understanding what conditions were necessary for the origin of life on our world. While meteorites are important because they reveal the very source of life on Earth, they have also contributed to the development of our life-sustaining environment. Meteorites provide not only a glimpse into the past but also a window to the future. They represent, in a very real sense, both birth and death; creation and destruction. Today, they are being studied because of their significant threat to life on our planet. With increasing regularity, we are discovering asteroids and comets with unusual orbits — ones that take them dangerously close to Earth and the Sun. Though just a very few of these bodies are potential hazards to Earth, by understanding more about these “near earth objects” early on, we are better prepared to take appropriate measures to head off a collision with our planet in the future. For sure, I am joining the hunt for these fascinating interplanetary objects. I have marked carefully the coordinates of where I found my meteorite and hope to return there in the near future. The following brief video helps us better understand meteorites and to easily distinguish them from meteoroids and meteors.